Animal rescue is not always as quite as cut and dry as it seems and there an be real risks involved no matter how simple it may appear. Safety for all involved, human and animal, is critical for success. “Peter, Thank you for helping me! 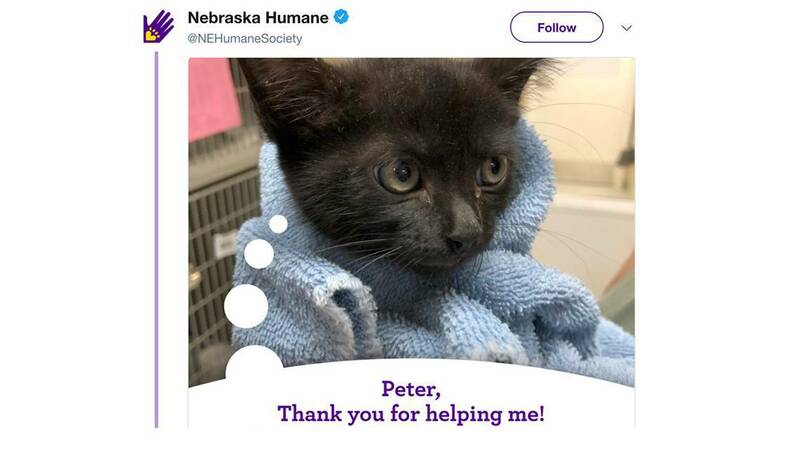 That is the “letter,” pawed by a cat wrapped in a blue towel and posted to Twitter via the Nebraska Humane Society. 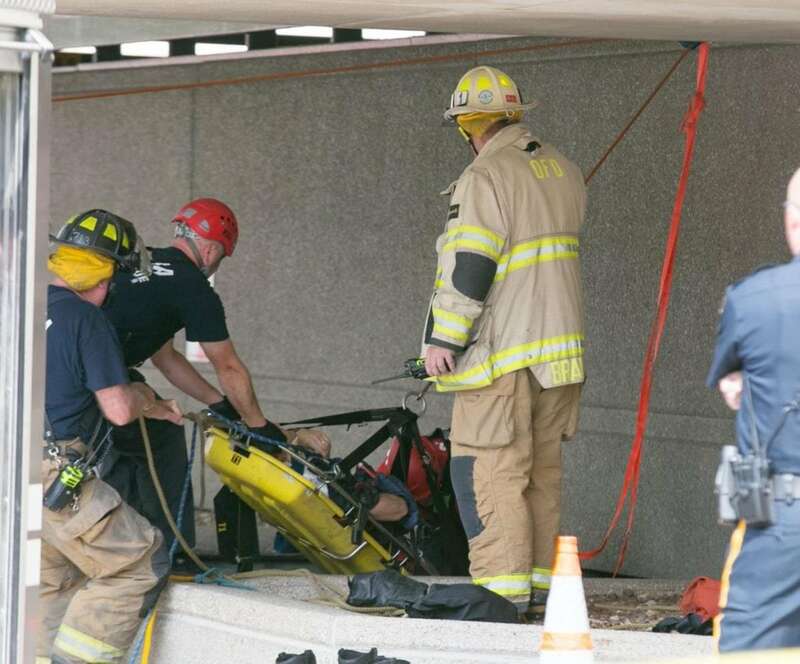 It followed an incident that left would-be a rescuer injured after suffering a 20-foot fall. The episode began when a woman heard meows below a steel grate at the top of a ventilation shaft near to the Omaha World-Herald building (Nebraska). Seeking to execute the rescue, the building manager for Collier’s International, Peter Nelson, responded. According to KETV, unfortunately, as he made the attempt, he fell down the 25-foot ventilation shaft. 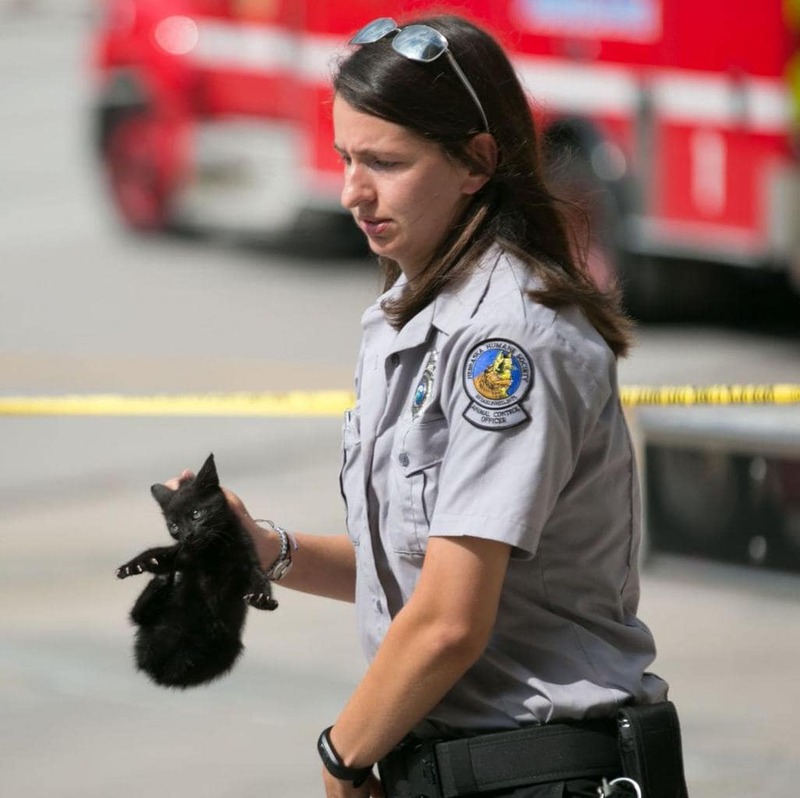 “I think they were trying to lower a ladder down there … and it sounds like the ladder may not have been stable yet and the employee and the ladder fell down into the hole,” field operations director Kelli Brown of the Nebraska Humane Society shared. That hole the World-Herald reported, and is about 10 feet long and 8 feet wide. “It’s a very deep hole,” said Battalion Chief Troy Brannen, Omaha Fire Department. The World-Herald commented in their story the hole “resembles a concrete box,” of ten-by-eight dimension. The news outlet also reported it took 12 officer and firefighters to extract both Nelson and the cat using ropes and a ladder. Brown is not sure how the kitten wound up in the shaft, but the Humane Society checked it for a microchip and if no owner comes forward it will be put up for adoption. Animal rescue is not always as quite as cut and dry as it seems and there an be real risks involved no matter how simple it may appear. Safety for all involved, human and animal, is critical for success. As with Peter Nelson, intentions were good, but there were serious, unanticipated repercussions. Nelson was reported to be in in critical condition at Nebraska Medicine, news outlet KMTV reported. A GoFundMe page has been set-up to Nelson and his family for expenses may face. So sorry to hear of this good kind man’s accident. I hope he has a quick and full recovery. Thank you for trying to save a wee kitten. You are a hero in my eyes, Peter. My prayers are with you for a speedy recovery and hope your back to yourself soon. I always find it heart touching when there are people watching over our fur babies.